If prescribed classic tablet formulations, compliance with dosing regimens can be challenging for many patients. Elderly users frequently find them hard to swallow, and parents all too often experience great difficulty when persuading small children to take their tablets. 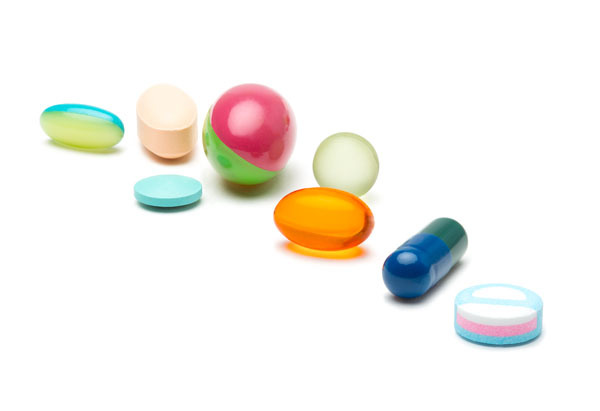 Although liquid formulations can provide a solution, there is an alternative — the orally disintegrating tablet or ODT. ODTs have significant benefits. As they dissolve in naturally produced saliva in the mouth, no further liquid is required, making them extremely convenient to take on-the-go. This dissolution and absorption in the oral cavity confers rapid onset of action too, which can be beneficial for conditions such as migraine and insomnia. Catalent’s Zydis ODT is the world’s best-selling orally disintegrating tablet. The first product was launched more than 30 years ago and, today, at least 35 products formulated with Zydis technology are on the market in more than 60 countries. More than a billion doses are manufactured every year at Catalent. The Zydis ODT typically disperses on the tongue in less than 3 seconds as a result of the lyophilisation technology used in its manufacture, and has a smooth mouthfeel (unlike other ODT products that can take longer than a minute to disperse and often leave a paste-like feel in the mouth). Speed of dispersion is important. Rapid dissolution enables effective buccal and sublingual dispersion; pregastric absorption may also be achieved for certain APIs. This not only enables rapid onset of action, but also avoids first-pass metabolism in the liver and can therefore improve product safety. Not all APIs can be formulated to give pregastric absorption though, the determining factors include the API dose, solubility, lipophilicity and molecular weight. However, if the API is suitable, then modifications to the formulation can be used to further enhance its absorption in this way. A fast onset of action can be a real advantage too: for drugs designed to treat nausea and prevent motion sickness, for example. Furthermore, the rapid dispersal makes it more difficult for patients who may otherwise resist treatment — such as psychiatric patients — to avoid taking their medication by hiding it in their cheeks. What’s in a Zydis ODT? Zydis ODTs are based on a gelatin matrix, with added mannitol to provide structure. 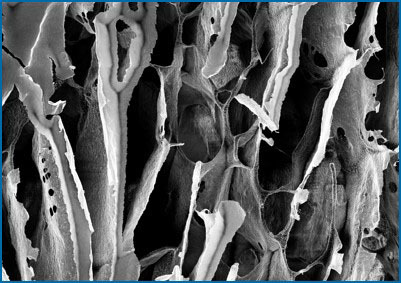 The gelatin can be traditional bovine or fish-based, but non-gelatin polymers can also be used. Additional excipients can be incorporated, such as high-intensity sweeteners (sucralose, aspartame or acesulfame-K) to impart palatability, as can flavouring agents and pH modifiers. 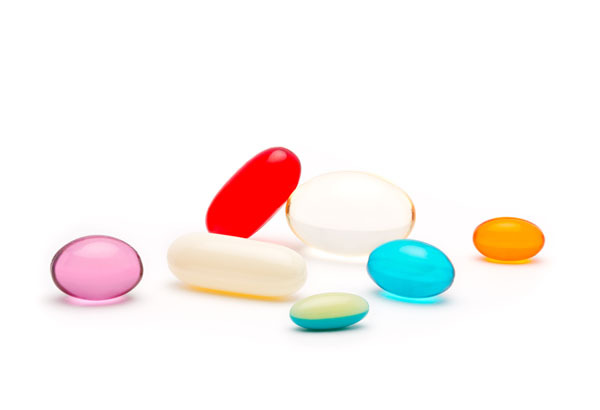 Colours can also be added to make the tablets look more appealing to patients. To make Zydis ODTs, the excipients are mixed with purified water, and then the active ingredient is added. Depending on the active’s solubility, this will produce either a suspension or a solution, which is then accurately dosed directly into preformed blister trays using a positive displacement precision pump. The next step is lyophilisation to remove the water and form a solid tablet. The blister trays are passed through a liquid nitrogen freezing tunnel. The frozen trays are then stored in a freezer before being placed in a freeze dryer. Under very low pressure, the shelves of the dryer are heated, causing the water to sublimate. By avoiding the liquid state, the characteristic pores within the tablets are formed. Careful packaging is important to protect the product, particularly if it is being shipped to high humidity locations. Multiple characterisation techniques are used to assess the structure, including X-ray diffraction to determine the crystalline state of the API and excipients, and differential scanning colorimetry to determine product melting points and whether it will melt during drying. Dynamic vapour sorption is used to determine the humidity that the tablet can be exposed to before it loses its integrity. The ODT’s rapid dispersion results from its high porosity (Figure 1). When the dry ODT is placed in the mouth, saliva rapidly penetrates its structure, causing it to collapse and dissolve. Selegeline represents a good example of how Zydis technology can enable faster onset of action and reduced side-effects. 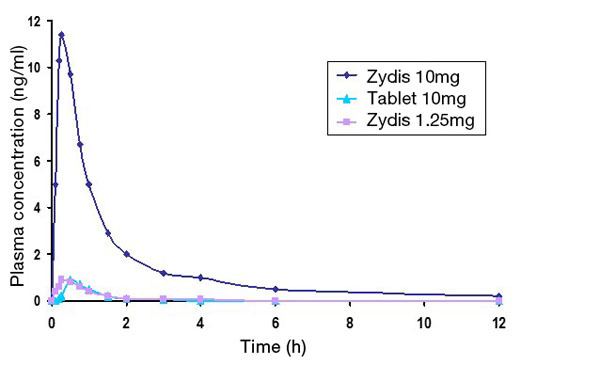 Figure 2 shows that the reduction in first pass metabolism lowers the levels of undesirable metabolites formed in the body with the Zydis ODT compared with a conventional tablet. It can also enhance bioavailability. Figure 3 shows that a 1.25mg dose of Zydis-formulated selegeline has a similar area under the curve as a conventional 10mg tablet. Zydis technology has not remained static, and additional beneficial characteristics can now be imparted to the dosage forms. For example, it is possible to deliver two different or incompatible ingredients within the same tablet. This is achieved by sequentially dosing two separate matrix solutions with different gelling or density characteristics into the same blister pocket. One layer may include the API, whereas the second may contain a material that is incompatible with the API. Another recent development is the ability to formulate relatively high doses of oils in ODTs. As a proof of concept, a 15% w/w olive oil/water emulsion was used to create Zydis ODTs containing 75mg of oil. The ODTs retained their fast disintegrating characteristics. This formulation strategy could be used to deliver an oil-based API, or one that is very lipophilic. Taste masking is particularly important for a tablet that is designed to dissolve in the mouth. Many drugs have an unpleasant taste, and an ODT is only likely to gain patient acceptance if it is made palatable. Several taste masking strategies are possible, depending on the nature of the taste, the dose and the other characteristics of the API. Introducing a suitable flavour ingredient and sweetener may be sufficient to provide a more acceptable product. The pH of a formulation can be manipulated to reduce the API’s solubility and, therefore, the amount available to be tasted, but this is only suitable for those drugs whose aqueous solubility is pH sensitive. However, if the taste is very bitter, or it produces a sensation such as numbing or burning in the mouth, then more advanced taste masking techniques must be applied. Alternatively, an ion exchange resin can be used to form a complex with the API that is insoluble at normal oral pH, but which releases the API rapidly on contact with the acid in the stomach. This is dependent on the ionisability of the drug. The API can also be encapsulated within a cyclodextrin, which effectively removes it from solution. It will be released lower down the gastrointestinal tract (in the intestine). This effect is heavily dependent on whether the API’s molecular size is compatible with the cavity of the cyclodextrin. Zydis Ultra moves taste masking on a step: it incorporates coated APIs into the tablet. A proprietary, novel dry mixing process is used to apply a coating to the API, while retaining the immediate release profile. The process starts with a micronised wax that, via acoustic vibration and particle–particle interaction, coats the API. A milling medium is added to deform the deposited wax, creating a continuous coating layer. It is a completely dry process, with no solvent involved, and the coated API potency ranges from about 70–85%. This is at least as good as traditional coated tablets and particle sizes as small as 100µm can be coated successfully. As an example, 200mg ibuprofen ODTs were created using a taste masked coated API; 325mg doses of paracetamol can also be made in this way. Both of these common analgesics would benefit from the rapid onset properties of an ODT, but their taste precludes simple formulation. Zydis Ultra circumvents this. Another recent advance is Zydis Bio, which allows biologics to be delivered in a sublingual or buccal manner. The robust, convenient, fast-dispersing form has the potential to avoid cold-chain storage. It could be used to deliver a wide range of biologics, including proteins, peptides, vaccines and allergens. The main advantage is that these sensitive molecules will avoid the harsh acidic and enzymatic conditions present in the gastrointestinal tract. Bioadhesives and absorption enhancers can be employed to improve bioavailability. The fragile nature of most biologics means that measures must be taken not to damage them molecularly. The low processing temperatures of lyophilisation are advantageous, and formulation choices can be made to improve in-process stability, such as careful selection of the matrix components and pH adjustment. The low water activity in the dried product can improve long-term stability. Acceptable room temperature storage has been demonstrated for a number of peptide and protein compounds. Zydis Bio also has potential in the delivery of vaccines. It could create vaccines with an improved safety profile compared with injectables, and can help to generate the mucosal response necessary for infections such as influenza and pneumonia. Removing the need for refrigeration would be a distinct advantage in the distribution of vaccines to developing countries. 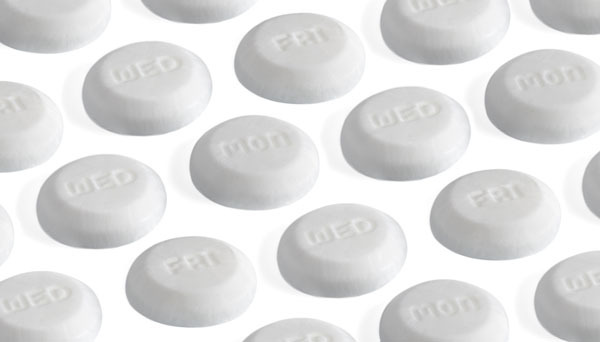 Orally disintegrating tablets offer many benefits to developers looking to avoid some of the limitations of conventional tablet dose forms, and in better addressing the needs of certain patient groups such as the young and elderly. If the convenience of a dose form that can be taken on-the-go, or patient-centric characteristics such as fast onset or easy administration are desired, then an ODT may prove to be the best choice.